The Lakeland landscaping services from Evergreen Total Landscape will fulfill your needs, whether you’re the property manager of an apartment complex looking for monthly maintenance or a homeowner looking for a completely new landscape installation. Since 1983, we have proudly serviced all types of properties in Lakeland, from restaurants to hotels to buildings of worship to grocery stores and more. Our customers love us because we take a proactive approach when managing their property. We pride ourselves on lifting the burden of lawn upkeep off our customers’ shoulders by performing frequent inspections to ensure everything is in great condition and working properly. No matter which service our customers choose, we take all necessary measures to ensure their lawn looks pristine year after year. From in-depth soil analysis to organic pesticides, considering sunlight exposure to ensuring exact moisture needs, no detail is spared when we maintain a property. 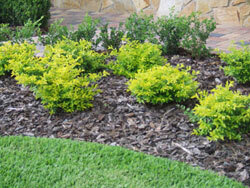 Please call or e-mail us today for more information about our Lakeland landscaping services. We also happily serve customers in Tampa, Clearwater, St Petersburg, and other surrounding cities.